For many entrepreneurs, business travel entails rushing: an early flight, landing just in time to commute to meetings, then reversing the route. The adage that time is money means working on your laptop and catching up on calls while on the road. But if you have a little extra time at a destination, you can combine business with pleasure and have a bit of a holiday as well as explore a new eatery, says Dawn Weir, head of kulula work. Her suggestion: take along the exercise kit of your choice, get your heart-rate up and then relax over a good meal. “You might only have a few hours to yourself, but a yoga class, a swim, run or a walk can clear the cobwebs and help you focus on your next presentation or meeting. Weir points out that South Africa has several major commercial centres on the coast, and for many people the ocean is a playground worth travelling hours for. “So why not enjoy that when you have a little free time to decompress while travelling on business? A joint study in 2016 by researchers at Canterbury University, Otago University, and Michigan State University in the USA found a link between being within sight of the ocean and lower stress levels. 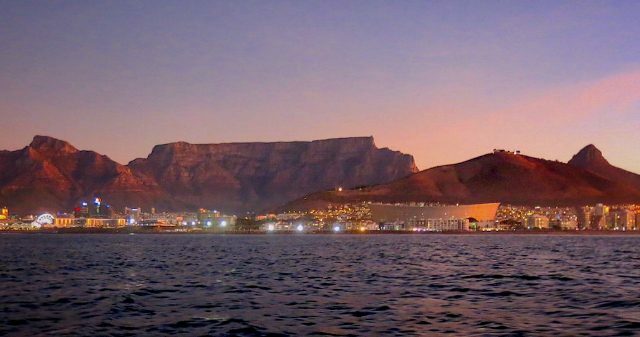 Cape Town: Sea Point Promenade is renowned for its sunsets, but it’s ideal for taking in ocean views at any time of the day. If walking, running or people-watching draws you, there’s arguably no better place as you’ll be surrounded by some of Cape Town’s most in-shape passers-by. Many locals and visitors enjoy the icy embrace of the Atlantic Ocean at Clifton Beach, but for something a little warmer, head to False Bay and to Boulders Beach, just south of Simon’s Town, where clear, calm, warm water invite bathing and snorkeling among the granite boulders after which the beach is named. Nearby is the resident colony of African penguins: noisy, smelly and charming. Weir’s restaurant tip: the Hog House Brewing Company in Ndabeni focuses on slow-cooked food with a local twist, craft beer and artisanal bread. It’s food made for sharing – think Scotch eggs, arancini, bacon-and-boerenkaas croquettes, coal-roasted sweet potatoes with smoked orange yoghurt, chili and coriander, and fire-roasted cos lettuce with buffalo feta, dates, almonds and citrus. Durban: the famed holiday destination has a promenade that stretches more than 11km from Blue Lagoon in the north to uShaka Marine World in the south. It has long, enticing beaches, piers that stretch into the warm sea, indigenous gardens, massive, shady trees, and plenty of outlets offering everything from coffee to cold beer and Durban’s famed bunny chow. The flat, pedestrianized stretch is a boon for cyclists, walkers and runners. Runners can try to notch up a personal best on the fast, flat route, or take a gentle trot and enjoy the sea air. You can hire bicycles, four-seat cruisers and even skateboards for used at the skate-park. Port Elizabeth’s promenade might not be as long as Durban’s but it lacks little else. Make your way to Shark Rock Pier and you might spot a pod of Bottlenosed Dolphins or whales: Bryde’s, Humpback and Southern Right have been spotted. Buy an ice-cream cone and soak up the sun. You might find, says Weir, that you suddenly have a brainstorm of an idea for you next pitch.